Check it out, it's an FPGA (Field-Programmable Gate Array)! What do you mean, "what's that?" - are you retarded? FPGAs are a programmable alternative to using ASICs. Still not with me? Oh my. In certain hardware there is a need for ASICs (Application-Specific Integrated Circuit). For instance in an MP3 player it might be better to have an ASIC chip dedicated to decoding MP3 files rather than leaving it to the CPU. CPUs operate in a very general way and aren't the best solution for any one task. An ASIC designed purely to decode MP3 data will be much more efficient than using the CPU and leaves the CPU free to deal with other tasks and increases battery life through reduced power consumption. The main drawback with ASICs is that they're custom designed for each task. This can lead to long delays as the chips have to be designed and tested and the set-up costs before manufacturing the ASIC can be very high. FPGAs are a step back from ASICs. They're designed to be configured and programmed after manufacturing. 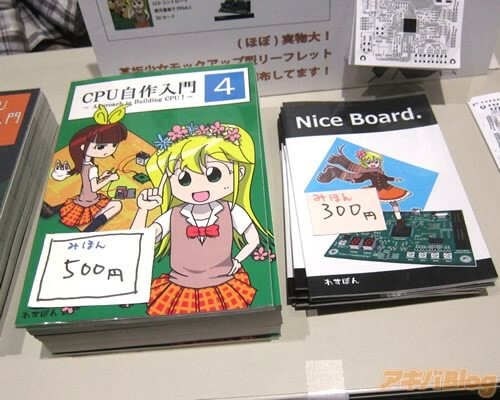 Thus a company can buy FPGAs off the shelf and start manufacturing whilst still working on the setup for the FPGA. They can even be programmed once the product has been deployed or sold to a customer. They're very flexible and their low pre-production costs can make them a good alternative to ASICs, especially in items that aren't going to have very high production runs. An ASIC is a chip designed and created to do a task. 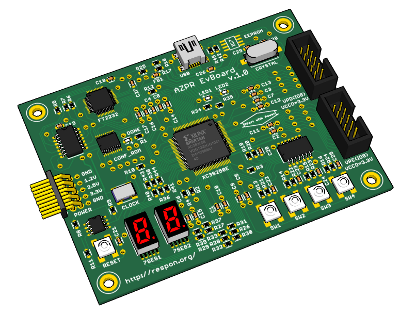 An FPGA can be programmed to do anything. 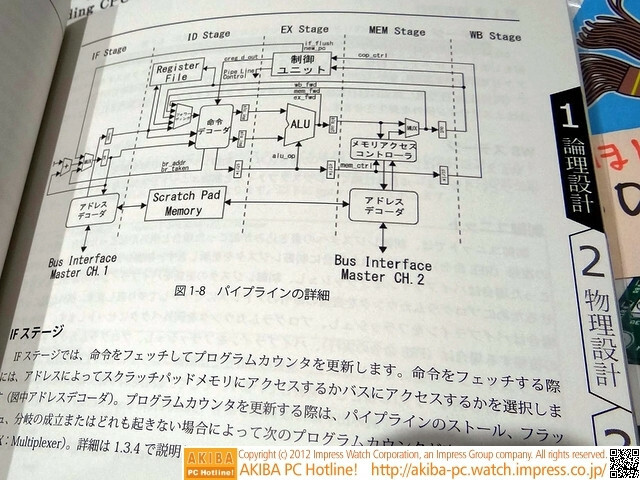 The picture above shows the logical layout of a particular FPGA made by a Japanese company. You can see how it's laid out and how it works. The only problem is that this is Japan and that's way too dry and non-kawaii, so it need improved. Way to go, Japan! 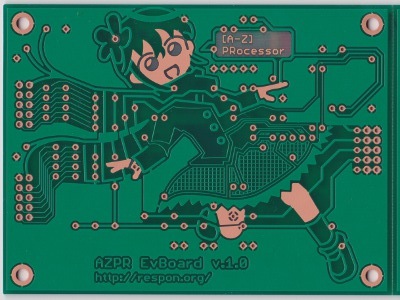 I've seen various circuit board and chip companies hide small logos and graphics on their stuff before, but never an entire board given over to an image. And just in case you think this is arbitrary, the layout is perfectly functional and logical and has barely been altered to accommodate the design. There's a video that explain everything... in Japanese... with extremely cheerful j-pop music. I really want one of these. Really, really want one of these. I still want a Raspberry Pi, which is an entire computer on a single little board, but bloody hell, Japan, you've really managed to made a relatively interested bit of electronics into an object of desire.